The one similarity between the cardio and skeletal muscles, is that they are both categorized as striated muscles. However, their major difference is that the skeletal muscle is controlled by the somatic nervous system, and the cardiac muscles are, by nature, involuntarily controlled. Besides their overall different locations within the body, these two muscles also have many differences in their cellular structures. We will start with their general structure, and then move on to their cellular composition. As mentioned, the skeletal muscle is a striated muscle, and it is attached to the bone. This attachment is made possible by collagen fibres, called tendons. There is also the presence of developmental myoblasts, and these coalesce to form the important muscle fibres of the skeletal muscle. These muscle fibres contain actin and myosin. Cardiac muscles are found in the myocardium of the heart, and they can also be known as myocytes. The cardiac muscle contains striations (which are alternatively thick and thin segments), T-tubules and intercalated discs. 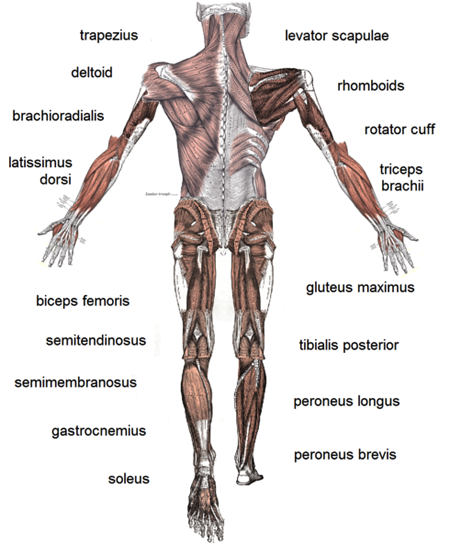 The muscles’ striations consist of protein, and the thinner bands are referred to as the I bands, and the thicker ones as the A bands. The T-tubules form triads, and the intercalated discs have the function of connecting the cardiac myocyte to the synctium. The cellular characteristics of the cardiac and skeletal muscles differ greatly. The cardiac muscle cell is short when compared to the skeletal muscle cell, and the shape of the cardiac muscle cell can be referred to as ‘semi-spindle’, while the shape of a skeletal muscle cell is cylindrical. Another difference between the muscle cells, is that there are gap junctions in the cardiac cells, and these cells have independent contractions. The skeletal muscle has a common contraction called a synctium (and no gap junctions). The quantity and composition of the nuclei within the cells are also very different. Where the cardiac muscle cells have only one or two nuclei, the skeletal muscle cells are multi-nucleated. The cardiac muscle has a dense endomysium and many mitochondria (occupying about 25% of the space), whereas the skeletal muscle has a less dense endomysium and fewer mitochondria (occupying about 2% of the space). Unlike the mitochondria of the skeletal muscle cells, the cardiac muscle cell mitochondria are richly supplied with blood vessels, and contain T-tubules which are wide and fewer in number compared to the T-tubules of the skeletal muscles. The T-tubules of the cardiac muscle are all aerobic, and the myofibres are fused at their ends. T-tubules of the skeletal muscles can be either aerobic or anaerobic, and their myofibres are not fused. 1.The skeletal muscle is controlled by the somatic nervous system, and the cardiac muscles are, by nature, involuntarily controlled. 2.The skeletal muscles are attached to the bone, and the cardiac muscle is found in the heart. 3.Skeletal muscle cells are cylindrical in shape, whereas the cardiac muscle cells are semi-spindle in shape. 4.The skeletal muscle cells are longer than the cells of the cardiac muscle. 5.Unlike the skeletal muscles, there are gap junctions in the cardiac muscles, and their contractions function independently from each other. 6.There are only one or two nuclei in the cardiac muscle cells, while the skeletal muscle cells are multi-nucleated. 7.The cardiac muscles have a dense endomysium, many mitochondria, and T-tubules that are wider and fewer when compared to the T-tubules of the skeletal muscle. The skeletal muscle has a less dense endomysium and fewer mitochondria. Colleen. "Difference Between Cardio Muscles and Skeletal Muscles." DifferenceBetween.net. March 13, 2018 < http://www.differencebetween.net/science/health/difference-between-cardio-muscles-and-skeletal-muscles/ >. this is so helpful and I am so glad I have found this site. My GP once told me about my back pain and that is skeletal muscles which is causing my bad back and I was wondering what is the skeletal muscles! now by reading this information I understand and hope this site will get wider and better day by day. All I can say thank u. It has help me in my study as A anatomy student. am very grateful. The rest of the response is reasonable.